Tired of the everyday routine? It’s time to retreat into the nature. Here, at Xpress Car Rental, we are offering you an enthralling escapade to Mahabaleshwar with really affordable car tariff rates. Xpress Car Rental is a well-known car service provider in a number of cities in Maharashtra and Goa, like Mumbai, Pune, Mahabaleshwar, Nashik, and so on, for a variety of purposes—we provide end-to-end services for family trips, official enroots, wedding occasions, etc. We are mainly providing car rental service in Pune. With a team of young and dynamic co-workers, we arrange for an absolutely hassle-free cab experience. This summer, if you are planning to visit Mahabaleshwar, we at Xpress Car Rental are offering you a cooling and refreshing holiday experience with our services. We provide three special affordable packages in Pune – Pune to Mahabaleshwar Car services, Pune to Mahabaleshwar Taxi services, and Pune to Mahabaleshwar Cab services. Enjoy smooth, swift rides with our Pune to Mahabaleshwar rental cars service with full and half-day packages at lowest rates. We provide a wide-ranging variety of well-maintained and fuel-efficient cars like Tata Indica, Toyota Corolla, Toyota Innova, and Honda City for trips from Pune to Mahabaleshwar and back. The Pune to Mahabaleshwar Car service has been considered as one of the best car rental services in Pune by many of our loyal customers in Pune. 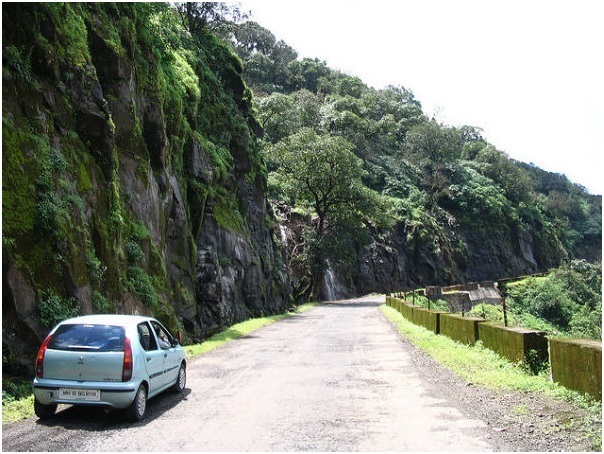 Hire a car of your choice and according to your needs and make the most of your holidays in Mahabaleshwar. For information regarding the packages and booking your trips with Pune to Mahabaleshwar Car Services, do visit our website mentioned at the bottom of this article. We also offer all sorts of Pune to Mahabaleshwar taxi services along with pick up and drop facilities. Here, too, we have built full and half-day packages at lowest rates for Puneites. Choose and hire the best taxi and radio taxi services for your trip. Our Pune to Mahabaleshwar taxi services are often collaborated with the local branches, allowing you to return the vehicle at different locations according to your convenience. Most of the branches are located near the airports and major landmarks so as to make possible an efficient taxi ride experience for our customers. For/to Mahabaleshwar taxi services, you can hire luxury cars like Mercedes Benz, Toyotas altos, Innova and other high end models depending on specific needs and live a king-size experience in Mahabaleshwar. For information regarding the packages and booking your trips with Pune to Mahabaleshwar Taxi Services, visit our website mentioned at the bottom of this article. Like our Pune to Mahabaleshwar taxi services, our Pune to Mahabaleshwar cab services are equally appealing when it comes to cheap and affordable tariff rates. These services are primarily arranged for the crowd who don’t own a car, people who are visiting a new town or owners of damaged or destroyed vehicles who are awaiting repair or who want to sit back and rest along the journey and not lose the fun concentrating on the driving aspect of the trip. For information regarding the packages and booking your trips with Pune to Mahabaleshwar Cab Services, do visit our website mentioned at the bottom of this Blog. We ensure a quick, safe and a fun journey. Our drivers are well-trained and customer friendly and our services meet with Local Authority criteria. Our team – a mix of industry experts and young, driven employees invite you to participate in the great summer escapade to Mahabaleshwar.